Coptic music is the music sung and played in the Coptic Orthodox Church (Church of Egypt). It consists mainly of chanted hymns in rhythm with instruments such as cymbals (hand and large size) and the triangle. Coptic music is purely religious. Coptic chant is a very old tradition, assumed to have links with the ancient liturgies of Jerusalem or Syria, while some of the melodies had been adopted from Ancient Egyptian burial practices and other rituals; however, manuscripts survive only since recent times and little is known for sure about the older tradition. Until these recent liturgical books, the music was transmitted orally. In the modern chant, there is extensive use of melody types, which allow some improvisation by the singers. The percussion instruments used in the Coptic Church are unusual among Christian liturgies. Since similar instruments appear in ancient Egyptian frescoes and reliefs, some believe that they may represent a survival from a very old tradition. The most famous modern Coptic cantor is the late Cantor Mikhail Girgis El Batanouny, whose recordings have helped preserve and unify many ancient chants that otherwise would have been lost, however, they were recorded in Greco-Bohairic Pronunciation. "Coptic youth blog" Contains digital music and videos of Coptic liturgies, hymns, songs, and Coptic hymn lessons. 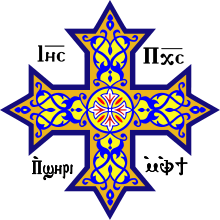 copticheritage.org The Official Website of the Heritage of the Coptic Orthodox Church.